Save time by creating a list of items / tasks and expenses that you use regularly. Instead of building your job plan from scratch every time, you can save time by building a list of items and expenses that you use regularly. To do this, head to Items & Expenses under Profile & Settings. You can add the sell rate for these items and expenses and create your own ratecard. It's possible that when planning a job, you'll need to add an item or expense that hasn't already been setup in the Items & Expenses area. Doing so directly on the job will create that item or expense only on that job, and will not add it to your list of items or expenses. If it's an item or expense that you expect to use regularly, then we would suggest heading to Profile & Settings > Items & Expenses and adding it there. Items & Expenses form the basis of your Jobs, Quotes and Invoices, and can be linked with your accounts codes / nominal codes if using Xero or Quickbooks Online. 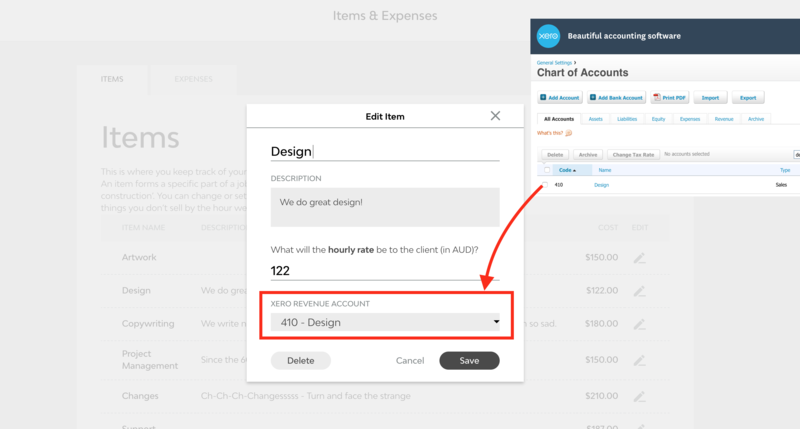 Every time you create an invoice from a job that has contained one of these linked items, the correct nominal / account code will flow into Xero. 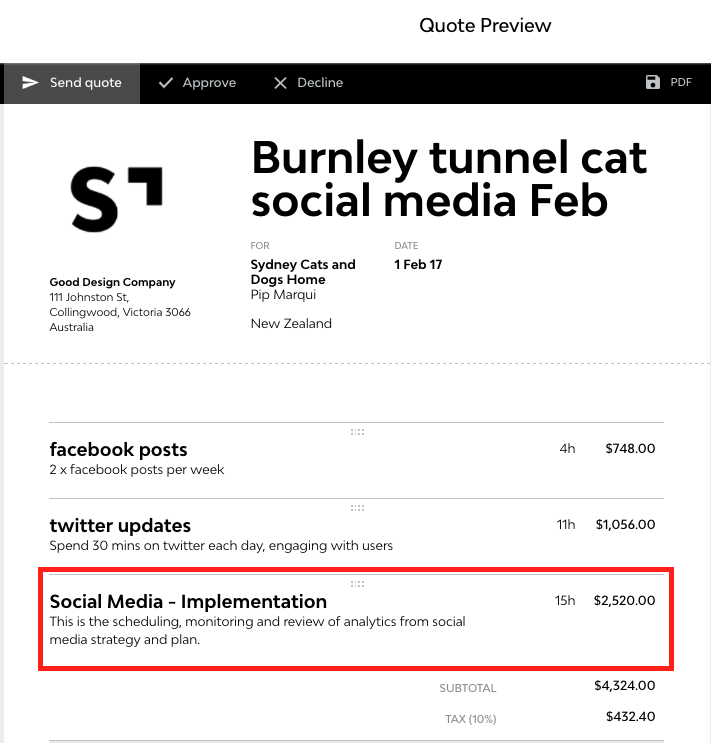 This allows you to produce accurate reporting on cost centres inside Xero. Save even more time by adding a description to your items. 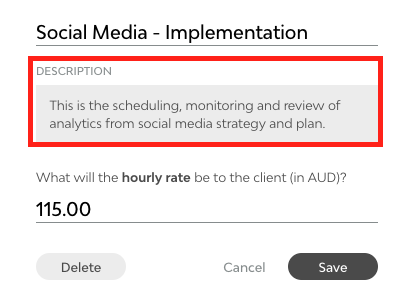 This could be a description to your clients which shows up on your quote, or the steps your team needs to follow on their To Do.